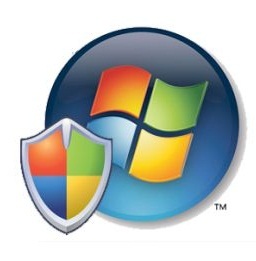 Everyone seems to be waiting for the release of Windows 8 final build, but according to Microsoft they will launch Windows 8 final build in mid of next year 2012. 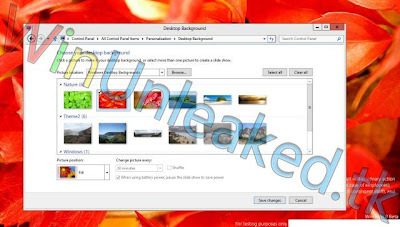 So Windows lovers has to wait till its launch but if you don’t want to wait till 2012 than you can try and experience Windows 8 Developer Preview version by yourself from here, or you can check out latest Screenshots of Microsoft Windows 8 Pre-Beta which is going to be release soon. 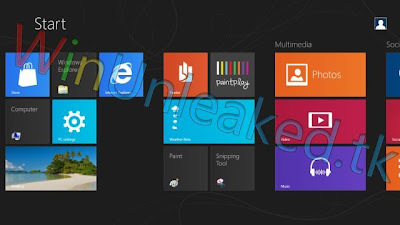 These Windows 8 Pre-Beta Screenshots has been leaked from a site called winunleaked.tk, the site claims that Microsoft is getting close to completing the beta build of their next operating system and Microsoft will sign-off the Beta build this month. You can check out and see what features and changes you will experience in whole new Microsoft's Windows 8 Operating System.